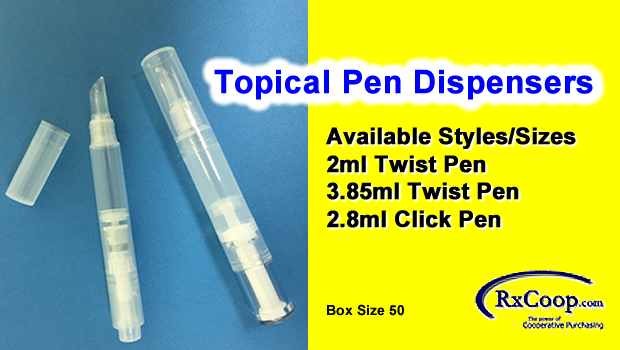 Click style dispenser dosing 0.25ml per click. Very affordable, attractive, and unique. 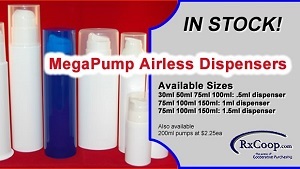 Mix directly in the dispensing container. 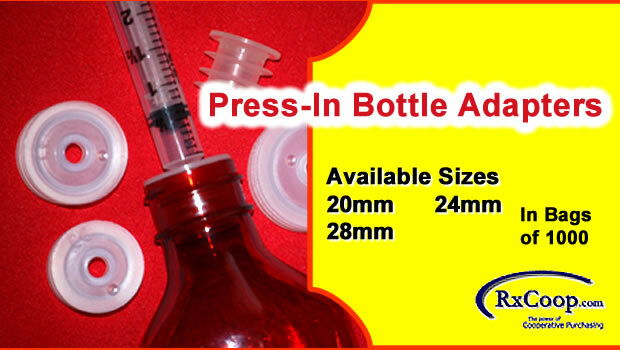 Great replacement for syringe dispensing! Available in both Twist and Click actuation. Pill Vials, Grad. Ovals, Jars, etc. Since 2010, RxCoop is a recognized leader in the distribution of dispensers, containers, and other supplies to the compounding pharmacy industry. 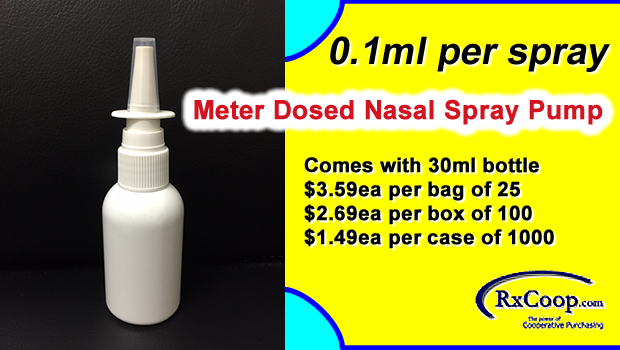 We specialize in selling meter dosed dispensers for topical and transdermal compounded creams, ointments, and jells. Any company that has needs in packaging such as containers, closures, or dispensing systems of any types will save money and time utilizing our expert staff of experienced professionals. 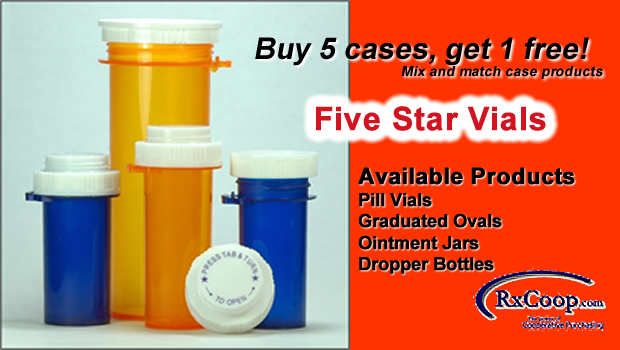 RxCoop offers an amazing variety of quality discounted products such as pumps, pill vials, graduated ovals, pen applicators, ointment jars, cream tubes, and more. If you are looking for a specific product and can't find it, give our product sourcing team a call. Unlike other wholesale packaging distribution companies, we can offer you and your company a one stop shopping experience as we have all of the necessary compounding components available to complete your finished product in an attractive and cost effective solution. And if we don't have a component you need, we will direct you to a supplier who does! We offer personalized product quoting and ordering to insure that you will get the best price currently available for your compounding needs. Give us a call. You'll be glad you did!